Hannah Dickson used to pogo stick all the time. 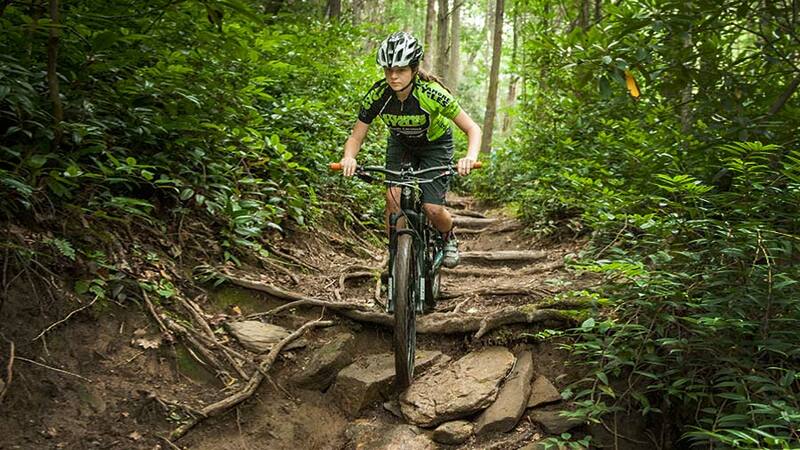 And according her father, Wes – owner of Sycamore Cycles in North Carolina, pogo sticking was a foray into his daughter’s love of mountain biking. Now a teenager, Hannah and her dad have been riding together for several years now and have even done some races. Hannah explains, “I race to push myself and become better”. When Hannah started out on a bike, Striders were not very popular. She started with training wheels and rode local trails and parks. The training wheels came off when she was offered ice cream if she could ride from one end of the local park to the other without them. 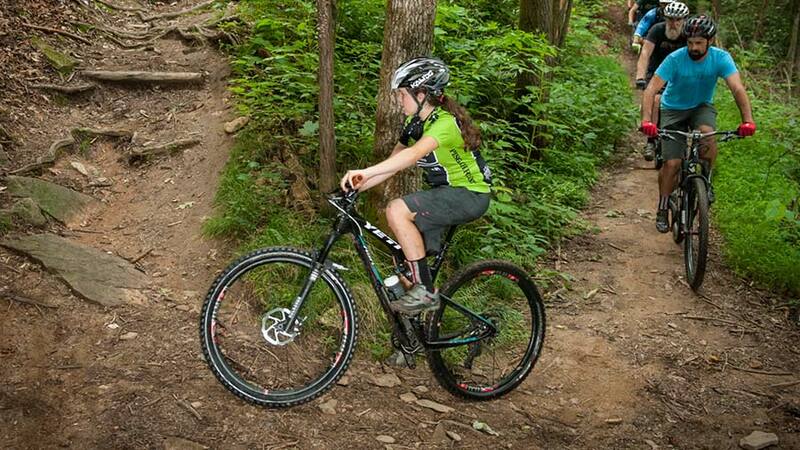 The Bracken Mountain Preserve is a city park with a great mountain biking trail. When Hannah was just getting into mountain biking they were working on the trail and Hannah had opportunities to help out with parts of the project. There would be volunteer days and Hannah and Wes were able to go and help move brush and do turf work to get the trail ready. They always say the apple doesn’t fall far from the tree and that appears to be true in the case of the Dickson family. Wes’s dad was also a bike enthusiast and Wes had started riding with him and also helping maintain trails when he was a teenager. To be able to now do these things with his daughter is an incredible journey that he is enjoying immensely. They are proud of giving back to the trail that gives to you and being able to do it as a family. Hannah enjoyed the trip and was always ready for exploration and up for adventure – and up early at that. She would be up before 6am and ready to start the day. Hannah still chooses the trails a lot of the time and will ride the same trail over and over if it’s one she enjoys. Sycamore Cycles has two locations in North Carolina; one is in Pisgah Forest and the other in Hendersonville. The first one opened in 2000 and it is predominantly a mountain bike store. The store carries a lot of riding gear and bikes for kids. Parents seem to be putting more money into good quality bikes for their children and the store makes it possible with a special program they run. The store will buy back used bikes that were purchased there at half the retail value. That money goes toward the purchase of a new bike. So if you buy a 12 inch bike for $200 and your child outgrows it, you can upgrade to a 16 inch bike and receive $100 toward the purchase of the new bike. 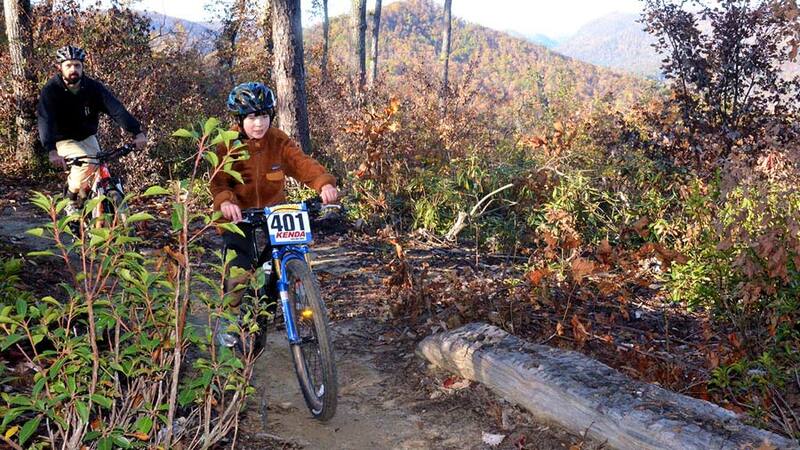 Sycamore Cycles also supports Trip for Kids – a non-profit organization that provides mountain bike outings and environmental education for youth in the Transylvania, Henderson, and Buncombe counties. The returned bikes may also be sold at a consignment store with the money going back into the Trip for Kids program. This is a great way for the shop to give back to the community so that children who may not otherwise be able to afford a bike are afforded the opportunity to ride.